See on . 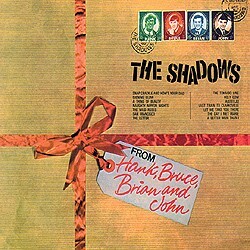 A tuneful number tastefully performed by The Shadows, Hank’s ballad technique and Bruce’s masterly rhythm accompaniment inviting comparison with their much admired ‘Tonight’, ‘Somewhere’ and similar gems of the golden period. 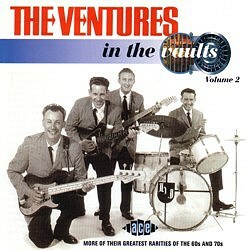 The Ventures’ ‘Danny Boy’, made available for the first time on the Vaults 2 CD, is dated by annotators Dave Burke and Alan Taylor to around 1961 rather than 1965 as specified on the master tape – a compelling inference given the style, definitely early 60s Bob Bogle and Don Wilson meshing so expressively. 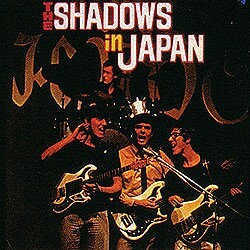 Conway Twitty had made the US Top 10 with this great melody in 1959, and Duane Eddy had a version out in 1961: Jim Grant compared The Ventures' version unfavourably with Duane’s, describing it as “an ordinary interpretation” (Ventures Resurgence 56  15), without explaining exactly what is meant by “ordinary”. No incongruously hoarse sax cutting in (twice), maybe?